OOTP 2006 - who's got it? 2006 was released today. I was planning to download it tonight, but a quick glance at the forums turned up a lot of apparent discontent, so I think I may give it a week or two. Anybody have it? Unsurprisingly, the Seattle system has the best combined record so far this year. Here are the overall standings, combining all four levels. I thought it was interesting how the Zotti League standings were so scrambled and close while the Adams League teams basically mimic the major league standings and there are wide separations. Obviously, minor league records don't mean squat, but I still thought it was unusual. A steamy day in the river city region was marked by the return to form of owner Nate Wooley and his trading ways. This time trading prospects to Walla Walla for CF George Rawlins. Sent to Walla Walla is Five-star 1B prospect Ronald Aiken and Four-star MR prospect Carl Odegaard. River Cities owner Nate Wooley, upon being approached by this reported commented "Oh, hey. Good to see you again. Been a while hasn't it?" When prompted to comment on the trade Wooley said "Well, we're in a strong first in a strong division. While we like what [current CF Gary Giles] has done for us over the last year or so his .215 batting average wasn't gonna make it happen on a contending team. Gary's been informed of the trade and is happy that he'll be operating with less pressure in a reduced role." "Like hell I am!" shouted Giles when this reported contacted him. "I wasn't even told that they were thinking trade until the call! Sure, my average is low but I'm still contributing and a few balls drop in I'm right back on track. This is horsecrap." Reached at his apartment outside Walla Walla a resigned-sounding Rawlins said "I certainly knew this was a possibility. With Walla Walla in fourth and my contract expiring this year spells a mid-season trade, wouldn't you think? At least I'm moving up three rungs in the standings...that's always good." Aiken, visibly frustrated by his lack of playing time caused by River Cities signing of Reuben Caufield during the offseason is said to have welcomed the trade and the opportunity to contribute to a growing team. It is with sad regret that I announce the retirement of pitcher Ernest Delamora. Delamora tore his back muscle while pitching this past week. Ernest leaves the league with a 71-64 record (21st all time), 1165 Ks (10th all time) and 10 CG (tied 15th). 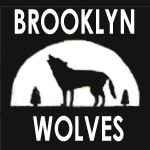 I, of course, will always remember him as one of the original Brooklyn Wolves. Ernest was the sixth player taken in that initial draft. He also holds the Zotti League record for the most strikeouts in a game (16). Good luck, Ernest. We'll keep howling for you. Redondo Beach, CA -- The four-time defending Cecil Cup champions South Bay Scorpions are pleased to announce the acquisition of OF Jerry Dehaven from the Saskatoon Cottacks in exchange for farmhand OF Louis Ray. "Wow!" Dehaven exclaimed upon hearing the news. "Watching them beat us in the Cup last year was like watching a maestro direct the symphony. I'm ecstatic to join the team!" South Bay Owner/GM Michael Weintraub explains the reasoning behind the trade: "We just lost James Larson, our starting LF, for two months, just as we're in a battle with -- wait, who are they again?. It hurts to lose a promising youngster like Louis, but we wish him luck in the frozen tundra. We just needed to make a move to shore up our outfield." Ray was acquired by South Bay earlier this season from Danville. "I never even got a chance to see the ocean," he mused. "But, it's nice to be wanted. I hope I'll at least get a hit when I face South Bay in the Cup in a few years!" Additionally, South Bay acquired Saskatoon's fourth round draft pick in 2009. Seattle and Covington played a little "add on" yesterday, exchanging minor leaguers in their second trade this month. Seattle sent outfielder Edward Hammon (http://ootp.izev.com/p99.html) to Covington. Hammon had spent the season so far with Seattle's AAA affiliate, the Tacoma Titans, and hit .272 with 19 home runs. Hammon is expected to join Covington's major league team. Seattle received Covington's fourth round pick in the recent amateur draft, starting pitcher Alberto Nicastro (http://ootp.izev.com/p992.html). Nicastro had started with Covington's AA affiliate, the Crawfordsville Eagles, and was 3-5 with a 4.08 ERA. Seattle pitching coach William "Frog" Kroeker indicated that Nicastro would initially be assigned to the A-ball Kent Kings. Seattle also received $500,000 from Covington as part of the exchange. Team sources indicated that the money would be used to pay for a new outfit for the team mascot, an automatic espresso machine, and a crate of Spuddies because "enough is never enough." The Seattle Monarchs proudly announce the acquisition of minor league reliever William Maxson (http://ootp.izev.com/p139.html). Maxson was acquired through a trade with the Covington Demons. Seattle sent 2B Lee Chaparro (http://ootp.izev.com/p284.html) to Covington in exchange for Maxson and $3 million in cash. "We think Maxie is an untapped gem. His control is already major league ready. We're going to work with him on improving his stuff and his movement, but we expect him to contribute to the major league team next year or in 2010," explained pitching coach Marcus Burke. Maxson will be assigned to the AA Olympia Olygarchs, joining future Monarch relievers Merlin Bohon and Otha Wells. General Manager, President, CEO, and team owner Mack Shultz stated that the cash was not a significant consideration in the trade. "What are we, some kind of rinky-dink operation struggling to meet payroll like those Walla Walla Wannabies? That's nonsense." Shultz also said that his purchase today of a waterfront estate was unrelated to the team's activities. Shultz also strongly denied the rumors tying Chaparro into the Roberto Olivas "Bobby's Kids" sexual harassment scandal of last year. "Lee's a great guy. Sure, he and Roberto roomed together on the road, but that's it. Why, have you heard something?" Chaparro had been the team's starter at second base since arriving in Seattle in a deadline deal with Walla Walla in 2006. However, rookie sensation Francis Armendariz, one of the Monarchs' two first round picks this year, had pushed him to the bench. "I'm glad to be going somewhere that I can play every day. It's just too bad I won't have the chance to play those smug latte-drinking b******s so that I can kick their butts," said Chaparro. "Well, I'll be a free agent this offseason if Covington doesn't cough up the cash. Maybe I'll find a spot with Brooklyn or Saskatoon." Seattle is expected to call up Robert Young from AAA Tacoma to back up Armendariz. Young is hitting a career best .348 this season. So, how much of your total payroll is wasted in the minors or on the disabled list? By my count, I have $9,761,111 in money spent on players on the DL or in AAA. Of course, $5 million of that is for James Larson, who just went on the DL (and will be there for the next two months). But, that still leaves $9,761,111 of my total $87,412,540 payroll that is being wasted in my hunt for a fifth straight title. Sure, I can afford that 11%, but I'm curious if I'm the only one throwing away that much money. ... and the league file's been updated. I just haven't had a chance to update the front page. I couldn't figure out how to post this as a comment to Zev's post. Anyway, here's the logo I put together some time ago (2003 according to the date modified). It's kind of lame, but it'll do. I just got back from visiting with someone who is sitting shiva. It's too late for me to run the sim now, so we'll try again for tomorrow night. That gives you all another day to upload your changes, confirm trades, etc. And, of course, there is the logo mosaic made by Brent (purposely loaded small). Does anyone else have any team logos they'd like to present? New Additions To League Website! The Award Histories page has been updated up through the end of the 2007 season. Thanks, Mack, for doing this. But don't think that this means that I'm going to let you win! In addition, I have put up the 2007 almanac, along with complete box scores, game logs and player pages available for download. If anyone else wants to make pages for the league, feel free to do so. I'll be more than happy to put them up. A nice little 10-1 run over the last two weeks, despite an injury to my #2 starter. Outscored the opposition 67-33. A player of the week award for former slacker Franklin Jackson. But, more importantly, a 6-0 record against those poor souls in Saskatoon. It's bad enough that they have to live in Saskatoon, but the mighty Monarchs gave no quarter. Bwaa haaa haaa. Brooklyn, I'm looking your way now. Move aside for the rightful ruler of the Adams Division. Last year's temporary aberration, and the resulting hangover from the first two weeks of this season, are in our rear view mirror. Fear the wrath of the Monarchs. Just a quick note... if you see me posting about the current sim, don't assume the league file has been updated. The last thing I do is update the league page. If the main league page has been updated, then the file's been uploaded. If not, it's still too early. Not a bad game for River Cities. Robert Fout hits three homers, goes 4-6 and has 5 RBI. Even winning pitcher Sherman Wheeler got in on the act with an RBI. RP Juan Souza (0-0 3.18) 18th round. SP Hector Orozco, (1-1 4.56) 35th round. RF Patrick Valdes (.271/.292/.543) 1st round. RP Tobias Gutierrez (0-0 1SV 4.84) Acquired from Seattle 5/27/03 To RIV: Theriault, Gutierrez, Garcia...to SEA: Kaczmarek, Galasso. Thanks MACK! RP Jefferson Theriault (1-1 5SV 3.50). Acquired from Seattle 5/27/03 To RIV: Theriault, Gutierrez, Garcia...to SEA: Kaczmarek, Galasso. Thanks MACK! 2BTimothy Palacios (.333/.500/.667) 2007 ROY Winner. Acquired from Walla Walla 5/13/05 To RIV Vaz, Palacio To WAL Galasso. SP Roy Vaz (4-2 3.04). Acquired from Walla Walla 5/13/05 To RIV Vaz, Palacio To WAL Galasso. SS Chet Edwards (.399/.455/.473) Acquired from Seattle 7/22/05 To RIV: Edwards, Kirkwood, Cowherd, Wine To SEA: Mendoza, Garcia, Ertel, Bohon) Thanks, Mack! SP Jonathan Starner (3-3 5.21). SP Sherman Wheeler (3-3 3.09). C Jason Verdugo (.263/.349/.500) Traded for in 2007 and allowed to walk during the offseason. 1B Reuben Caulfield (.355/.393/.594) Originally drafted by RIV as VIR in 2002 (16th round). Left as FA to DEN in 2005. LF Shaun Guinn (.336/.383/.473) Traded for in 2007 and allowed to walk during the offseason. As shown above, I've got one group of players that mysteriously appeared in 2003 and another in 2004. I vaguely recall that we had the minor league roster fill-in 2003. Did we have another expansion in 2004, after the four team expansion? I'm confused. Just letting everybody know that the second Covington-Danville series is in this sim. We may be the bottom two teams, but it's one of the most natural (read: geographic) rivalries I think in the league, so it matters for that. So far it's all even at 2 wins apiece. This one's a three game set, so we'll see who can take the early lead in the all-time series. And there would be eight if I hadn't traded away current ERA leader Chad Nelligan to Hickory in 2005. So, how was your team built? Note: I also still have Earl Bartholomew (16th round) and Willis Welliver (38th round) from the initial draft in the minors. Did we have a sim last night? Because I'm leaving town at 1 today and won't be back for a bit. I wanted to make sure I uploaded changes before I left. Once again I find that putting a player on the DL just doesn't pay with our schedule. Palacio is injured. Well and good. I move him to the DL. A sim goes by and wham, he's got one day left. But the next sim is another two weeks. So our options are either to play shorthanded when someone is hurt (i.e. never use the DL for other than catastrophic 60-day DL occurances) or lose a player for a month. Is there any way we can shorten the 15 day DL to 14 days in the game or something? The Brooklyn Wolves are pleased to announce that they have acquired 3B Bruce Parker from the Hickory Huskers. "We've been looking for a future third baseman for a while," said owner Zev Steinhardt. "For a while we had Jonathan Dillow manning the hot corner, and he was OK for us, but we were looking for a young guy who can handle the 3B duties for the decade to come. Bruce is a young guy with a great range at the corner and with a lot of power potential." However, don't look for Mr. Parker to be playing third base in the big leagues just yet. To see him, you're going to have to go to Brighton Beach (A), where he will work his way up the Wolves' minor league system. In exchange for Bruce Parker, Hickory gets veteran pitcher Hubert Bustillos. Bustillos is on the all-time leaders list for victories with 62 and is one of the last few original Wolves from the 2002 season. "We're sorry to be Hubert go," said Steinhardt, "but we decided that we need to get some new young arms in the rotation and he just didn't fit our plans. We certainly wish him success in all he does. Everything he did for the Wolves won't be forgotten." In addition, Hickory also acquires AAA pitcher Donald Taylor. It won't really affect our league too much since it's an in-game (as in, when you're actually playing out a game in OOTP) bug, but I thought it was interesting. If you've never played through a game in OOTP, the rest of this (save the next paragraph) probably won't mean much to you). I downloaded an installer to play a solo real MLB league. This thing automatically imports all the real MLB players, stats, ratings, positions, photos, team logos, and even the team stadiums for the in-game scenes. It's pretty awesome. Top of the sixth, Jim Edmonds leads off, gets a 2-0 count and then gets plunked by Zambrano. The game says Edmonds is injured (broken nose), and I have to take him out, then sends me directly to the substitution screen. I move Jacob Cruz from 2B to center, and sub in Bo Hart at 2B, and go back to the game. The game then says Edmonds rushed the mound and tried to punch Zambrano (no wonder, with a broken-nose HBP). It says the umpire ejects both players. "Ok," sez I. But no, the game takes me BACK to the substitution screen, where I find that BO HART is the one the game says is ejected. Hmph. Now I get to put in Grudzielanek at 2B and see what happens. Thought you might find it interesting, especially if any of you do solo leagues. This Monday is great by me. I'm away Tues-Fri for E3. Sim 2 Done. Next Sim Monday Night. Note that for the forseeable future, I'm going to have to switch the sim night to Monday nights. I'm sorry folks, but there was one person's upload which crashed my program. I even tried uninstalling and re-installing to get the problem fixed. The rest of the uploads were imported sucessfully. I'll run the sim tomorrow. First of all, I want to apologize to all (or maybe not, given my 4-9 record thus far) for being pretty much totally inactive. School hit pretty hard for the last month or so and I didn't really keep up with anything. That said, I took my last final yesterday, so I just got a lot more free time. So, that leads me to the annoucements. First of all, the C-town Demons' farm system will be moving from their Michigan locations all to West-Central Indiana, with AAA becoming the Lafayette Knights, AA becoming the Crawfordsville Eagles, and A becoming the Terre Haute Flames. Also you'll notice that my active roster has filled. Hopefully that will lead to far less injuries than I have started the season. To anybody who sent me e-mails regarding OOTP, it seems I have not been recieving them. If any of them are still relevant, please feel free to try to contact me again. I think it's all fixed itself. It turns out that my wife needed the computer to write a paper for school. I'll do the sim tonight. The four-time defending Cecil Cup champion South Bay Scorpions have announced the trade of SP Andrew Weimer to the Danville Dans. 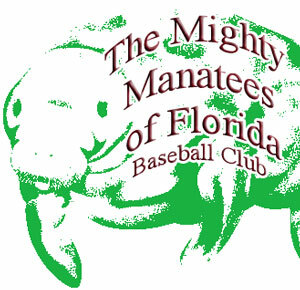 Weimer, who filled in admirably in the then-Mighty Manatees of Florida rotation last season, had yet to appear into a game as a pitcher in 2008 due to a logjam in the rotation. He was 4-3 with a 3.99 ERA in 2007. In return, South Bay receives farmhands Louis Ray, an outfielder, and Chang Waldron, a shortstop. "We think Ray has a solid chance to perform with our major league team in a few seasons," GM Michael Weintraub said. "Our minor league coaches are anxious to get their hands on him. With Waldron, we're hoping that a promotion to AA Stockholm will move him on the fast-track to a major league career." Reached for comment, Weimer stated "I'm glad Danville showed the initiative to trade for me. Sitting in the bullpen is not for me. As much as I enjoyed my time with Florida last season, it was clear that I needed a new home for my career." Weintraub announced that OF Mario Kelly would be promoted from AAA Florida to the 40- and 25-man rosters to replace Weimer. He will serve as the 5th outfielder and a pinch-runner. Ray will be assigned to A Rockville, and Waldron will be shipped overseas to AA Stockholm. At the request of a league member, I'm going to put off the sim until tomorrow (Wednesday) night. In addition, everyone should be aware that in the future I'll be doing sims a lot earlier than I used to. In the past, I'd do the sim at 10 or 11 at night. However, I started a new job last month which requires me to be in bed by 10 - so sims will probably be done earlier. To be safe, have the upload in to me by 7:00pm Eastern.